When someone mentions stick vacuums, most of us immediately think of one brand in our mind – Dyson. And this has been with good reason, up until now. 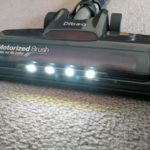 There are numerous brands releasing their own version of these handy cordless vacuum cleaners and some of them can are actually quite powerful, and even better, cost-effective. 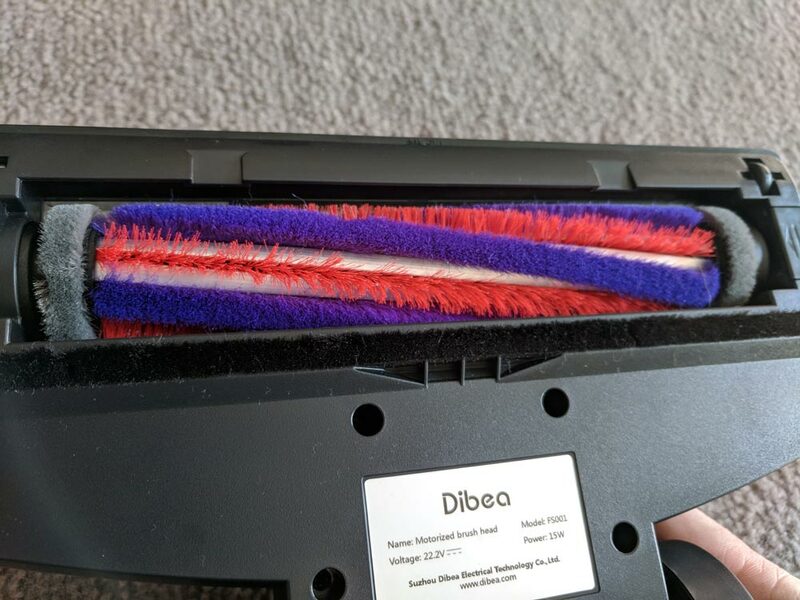 The Dibea D18 is one of those stick vac models that really takes it up to the other big names on the market – and for under half the price! Update: While the D18 is still a current model, Dibea have just released the V008 Pro. Read our review on the V008 Pro here. Disclosure: This product was sent to us by the manufacturer for free in order for us to provide an honest review. All opinions are our own. Overall I was quite impressed with the D18. It represents great value for money and it's cleaning functionality is only just behind that of the more expensive brands. The power brush works really well and the build in headlights are surprisingly useful and it goes the distance when it comes to battery life. 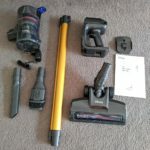 If you are after a stick vacuum but don't have the budget to get one of the more expensive Dyson models, then the Dibea D18 might be exactly what you are looking for. Keep reading for our detailed review below. The D18 was very easy to set up straight out of the box and only required a few easy steps before it was ready to use. All the parts simply clicked together – there is no tools required at all. All the parts fit together nice and snug with no discernable movement where there shouldn’t be any. The charging procedure is as simple as it gets: simply plug the provided charger into the back of the unit. 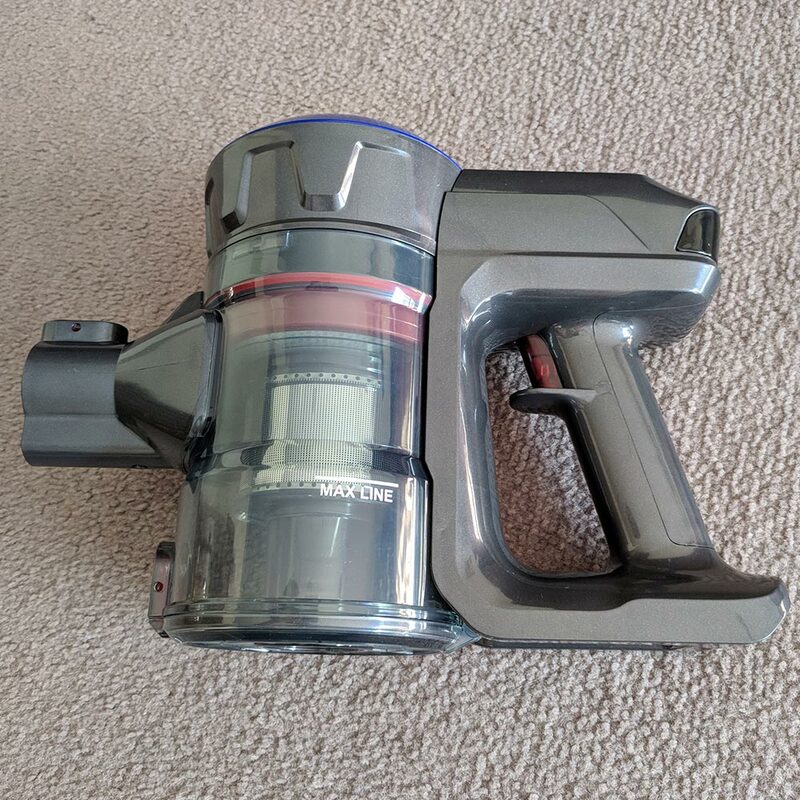 I only had one small complaint here and that is that the wall mount base does not automatically plug the charger in when you hang the stick vacuum on it like the Dyson units do. You have to manually plug in the charger, instead of it automatically charging whenever it is on the wall mount. Charging the battery from dead flat takes around 4 – 5 hours to full charge. 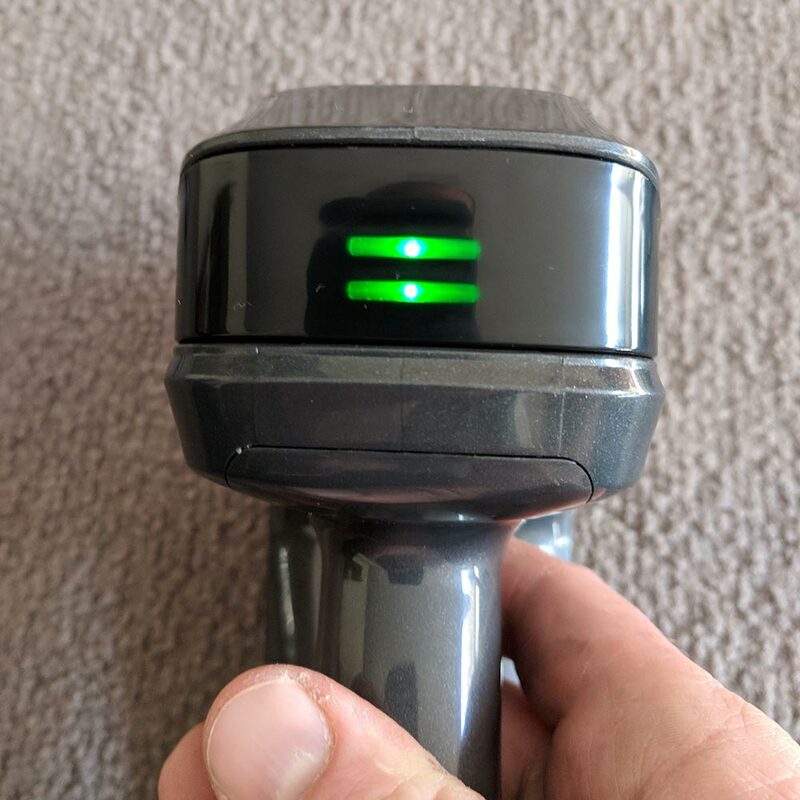 There is also a handy 3 bar indicator on the back of the vacuum that makes it easy to see at what level charge the battery is at while in use or charging. The battery charge indicator – maximum charge shows 3 lights. The D18 is quiet… so quiet that I was worried it wouldnt have enough power to do anything useful! When measured (with an Android phone app) from a distance of 12 inches away, on low power it comes in at 58dB, and in High power, it measured a max level of 62dB. I compared this to my Dyson DC44 and the difference was quite large, it measured 65dB on low power and 70dB on high power. Now these levels might not seem this different when you look at the numbers, but they are quite noticeable. But my concerns about its cleaning power were quickly alleviated. 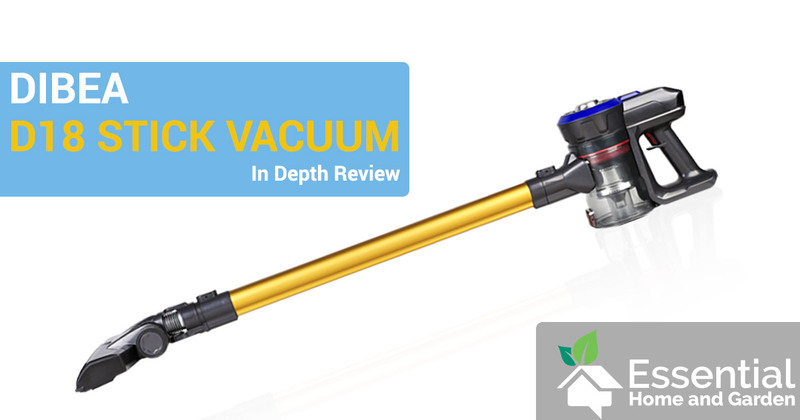 While it might not have as much actual suction as its more expensive counterparts, it has a well designed motorized turbine head that leaves nothing behind! In fact, I even found it picking up bits of mess on the carpet that the DC44 left behind. I did mention that the actual suction is not great, but the crevice tool and the bristle brush that come with the unit are well designed and they both work quite well. although I get frustrated by the lack of suction when not using any tool at all (with or without the metal tube attached). When it came to emptying the catcher I was surprised at the amount of dust, dirt and other items it had picked up. Especially considering that I had not long before gone over the area with our Dyson unit. Empyting and cleaning the catcher was very easy and the washable dust filter is easy to get to and clean. The D18’s battery is quite small hidden away in the handle. In fact, you probably won’t even be able to tell where it is. Despite its small size, the 22.2 volt, 2,200mAh battery holds quite a bit of charge and on high power, it lasted just under 22 minutes of non-stop vacuuming before going flat. This should be ample time to vacuum most areas of a standard sized house. Confused by battery specifications? Check out our handy guide here. When ran on low power mode, the battery lasted 42 minutes before the it went dead flat. 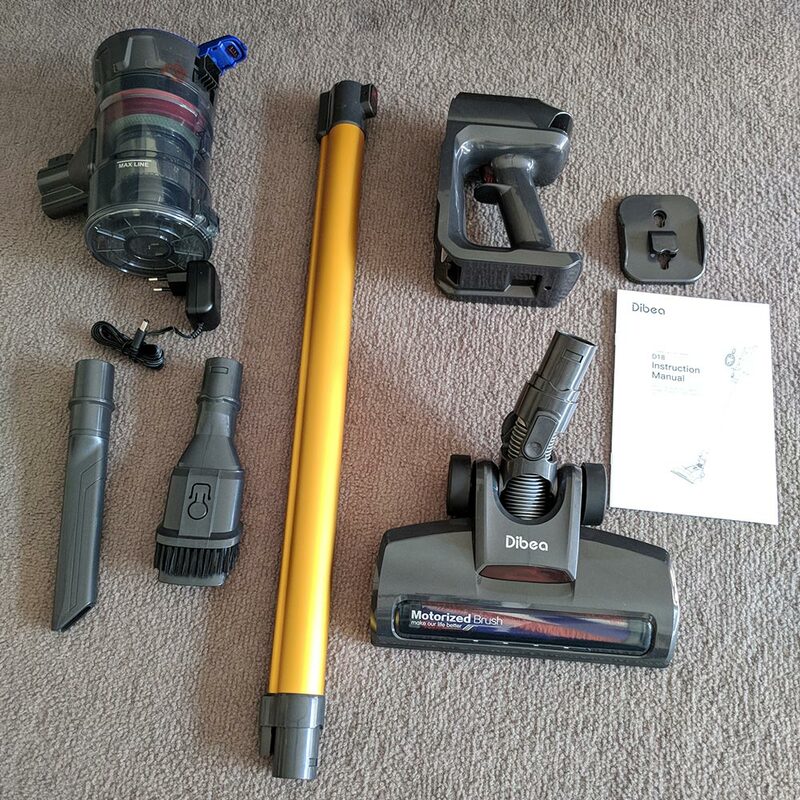 This vacuum was super easy to use, the motorized head is connected to the shaft via a nifty swivel device and I had no problem maneuvering it around obstacles and furniture. 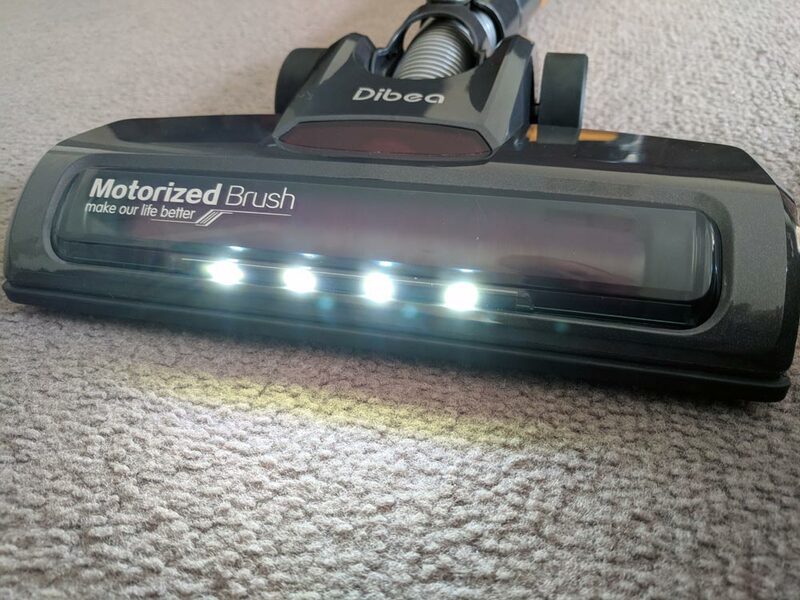 I don’t think I have mentioned yet that this stick vacuum has headlights…..that’s right. A vacuum cleaner with headlights. These are made up of 4 LED’s build into the power brush. At first, I thought it was a gimmick and all it would do is make the battery life shorter. But the LED headlights are actually quite bright and surprisingly useful! When vacuuming in a dark area (such as under furniture or in poorly lit rooms), the ground level headlights quickly highlighted hard to see mess and dirt. The D18 also has a bit of a different trigger function that you might be used to. Pull the trigger once, then let it go, and the vacuum turns onto low power. Pull the trigger again and it goes to high power mode. So there was no need to hold the trigger down the whole time while vacuuming. Users who suffer from arthritis or low hand strength will really appreciate this feature. 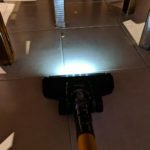 Having Trouble Cleaning Those Tile Floors? Read our guide on the best steam mop. Overall the quality of this vacuum is quite good. The plastic parts feel very sturdy and should be able to take almost anything you can throw at it, and the metal tube is scuff resistant and very strong. There really was only one issue that I noticed and was the small plastic wheels on the bottom of the power brush. 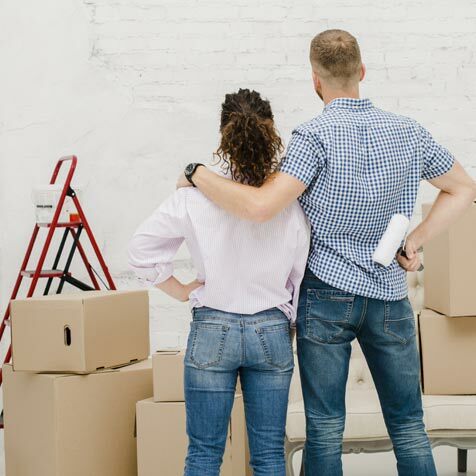 They do make a noticeable rattling sound which can be heard over the motor noise occasionally when vacuuming the floor. While this was annoying, it did not affect the cleaning functionality at all. 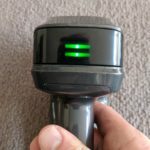 The pricing of this vacuum is cheap when compared to the better known brands , and when you consider how well this vac performs – it’s hard to see better value elsewhere. 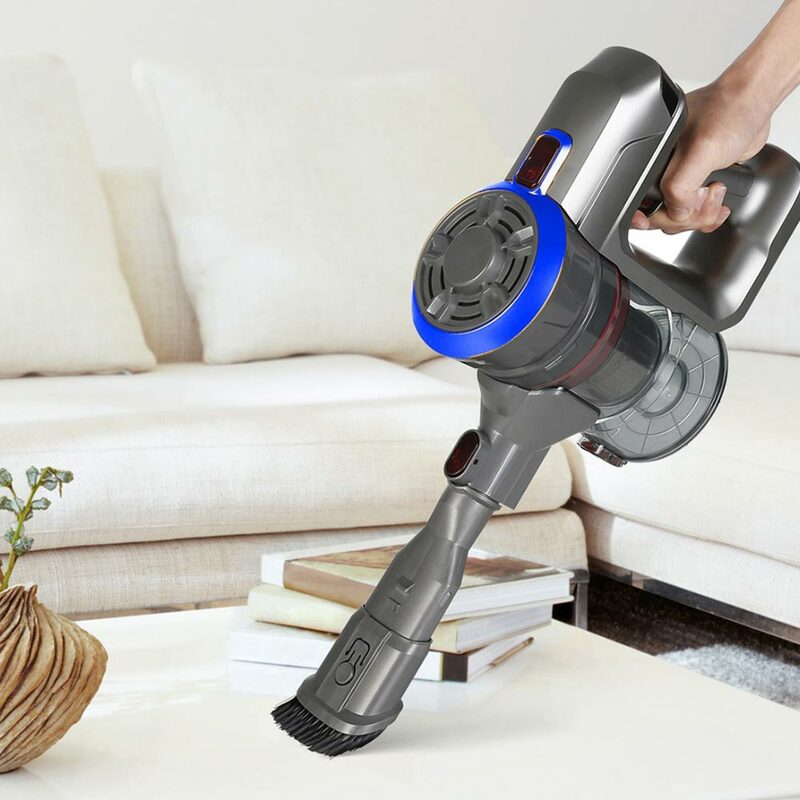 The Dibea D18 stick vacuum is available from Amazon and GearBest. When I tried to turn on my Dibea H008 after a full charge , the battery charge indicator has 3 lights blinking and not functioning at all. I would disassemble the machine (remove the battery section from the motor unit – as it came in the box) and clean the electrical contacts with some isopropyl alcohol. Reassemble and test it. If it still plays up then you may have a faulty unit. Hi Aaron, the vacuum works great except, when it is turned off it often leaves sand or crumbs on the floor from the brush. How can i avoid that? Hi Mel, I havent had that issue! It sounds like for some reason the vacuum isnt sucking the debris up after sweeping it up. Is there anything blocking the tube? Hello there Aaron. I wonder if you can help me out? Can I wash the dust cup too? It’s filthy and mere wiping it with a wet cloth will not completely clean it. 2. And how do you clean /remove the hair stuck on the floor roller brush? Would be grateful for your reply. Hi Hazel, I wouldnt wash it, as it does contain some wires to run the motor in the motorized head. It doesnt really matter if its dirty though. Just be sure to empty it regularly.